I am very happy about education and other activities carrying out by edukidz. Overall we satisfied about school, Teachers and academic training. Requesting you to kindly start 1st grade in your school. It has been a great experience with the school we were extremely fortunate to be associated with the school. The teacher in all level are extremely capable and patients with the students. Thank you to all teachers and administration! Thank you Edukidz. My Son is very happy in this school. He had wonderful year with suraksha teacher. One of the best teacher in his early stage. She was very sweet with all the kids. And in early stage it is very important that teacher has to be soft with kids as suraksha teacher is. Thank to school and its lovely teachers. It has been a great experience with your school as my children has been molded very well in studies as well as other activities. Thank you all teachers and supporting staff members who has taken all the efforts because of which my children are doing excellent work. Thank you very much. Thank you for providing foundation for Riddhima. For excellent beginning of her educational growth. You will remain in her memory for as an a parents. I am very happy because my daughter is very better performance shown in the psychomotor and cognitive aspects and thanks for suraksha teacher. Being a mom I was too much worried regarding my lil one settling in the playgroup. Many questions if, but, whether started making me anxious.Will he be able to communicate with teachers? Will he accept and adapt to a new environment of playgroup? Will he find good bunch of friends and teachers around? 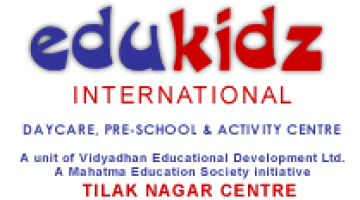 But after taking his admission in edukidz international, Tilaknagar, my all questions were solved and I felt relieved. Within few days I saw that my lil champ was very happy going to school. 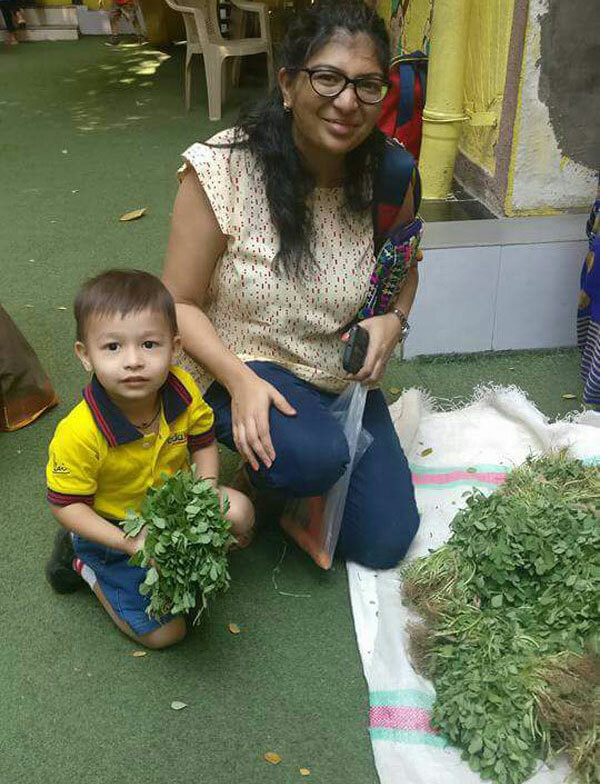 Teachers of edukidz are very kind natured and friendly with kids so they feel very comfortable being around with them. Each and every festival is celebrated in this school so well that all kids understand the real meaning behind celebrating the festival. May it be Diwali, Holi, Ramadan, Christmas, Japanese New Year, Chinese New Year, Gudi Padwa, Easter etc. This school conducts so many activities for kids that learning is fun for them. Teacher takes so many efforts to help kids understand every small and big things. For example teachers dress themselves with costumes of wild animals or domestic ones to build in a pictorial memory of child. Colouring activity, word rhymes and learning alphabets is done in a musical way. My personal experience with edukidz is excellent and way more than expected. Hats off and big thanks to all the teachers for doing such a fabulous job. Having said that, I feel lucky and blessed to have my champ studying and being a part of edukidz family. After all it’s been rightly said “Education is the best gift a child can have from his parents” and best way to gift your child is through selecting a “Right school since playgroup”.